Did any of you watch the Swan Princess growing up? 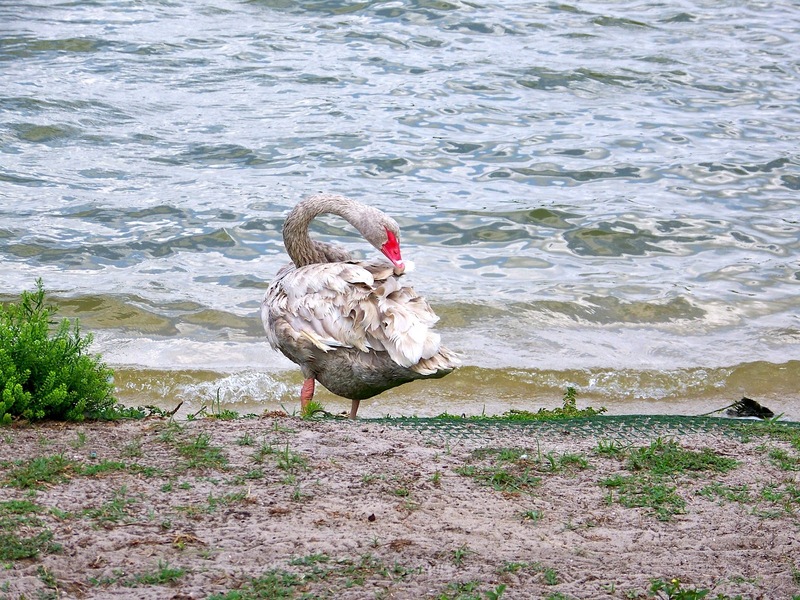 It was a favorite in our house and now I get to live near a real life Swan Lake! Swan Lake is what all the locals call this lake (but it's not the real name) because of the tremendous amount of swans that live around the lake. 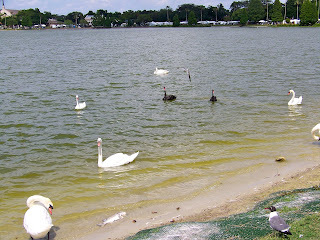 Swans are kind of like the mascot of Lakeland. 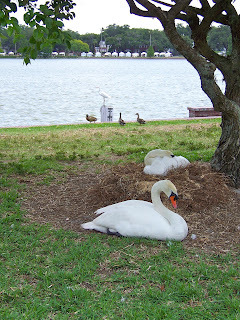 There are statues of swans everywhere and near the center of town is swan lake. 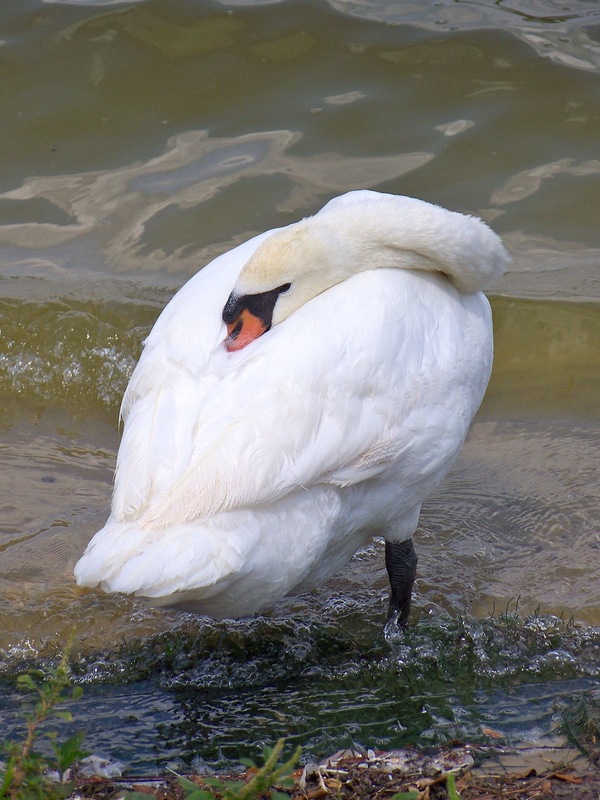 The story that I've been told is that in the 1950's all the swans in lakeland were gone because of predators killing them off. 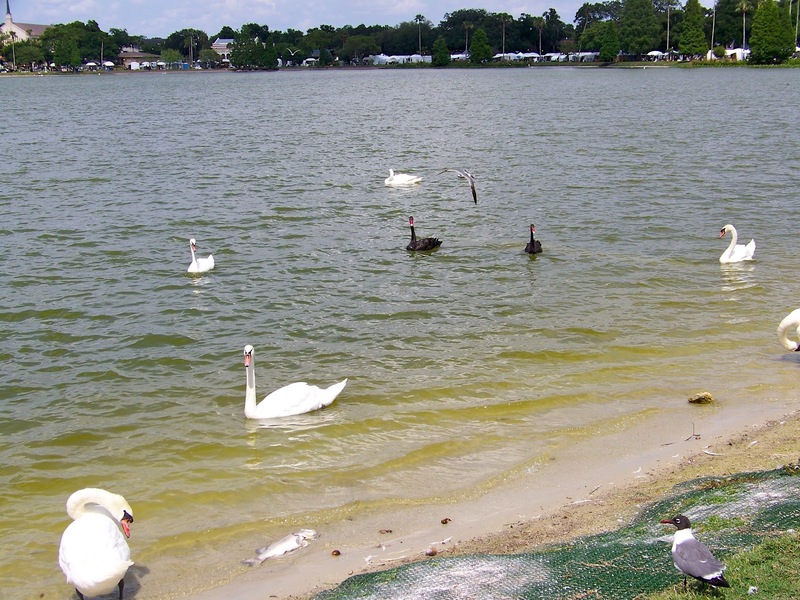 A local resident was very upset by the disappearance of the swans and so they wrote to Queen Elizabeth who allowed for the capture of two royal swans that were sent to Lakeland. The rumor is that all the swans that are currently in Lakeland are descendants of these royal swans. 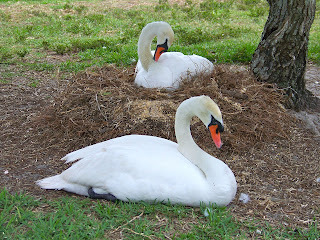 Right now is the nesting season for the swans and some baby swans are just starting to show up. This year someone or something has been stealing the swan eggs (last I heard 40 were missing) which is really sad. 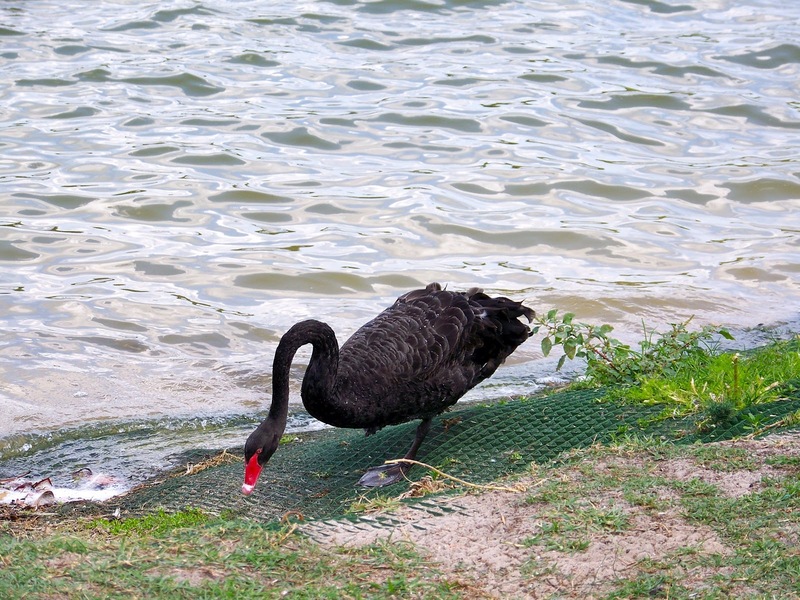 Generally speaking, everyone is very protective of the swans and so having eggs go missing is very upsetting to a lot of people and so the city has set up cameras and have increased the amount of police foot potrol around the lake to make sure the eggs don't keep disappearing. 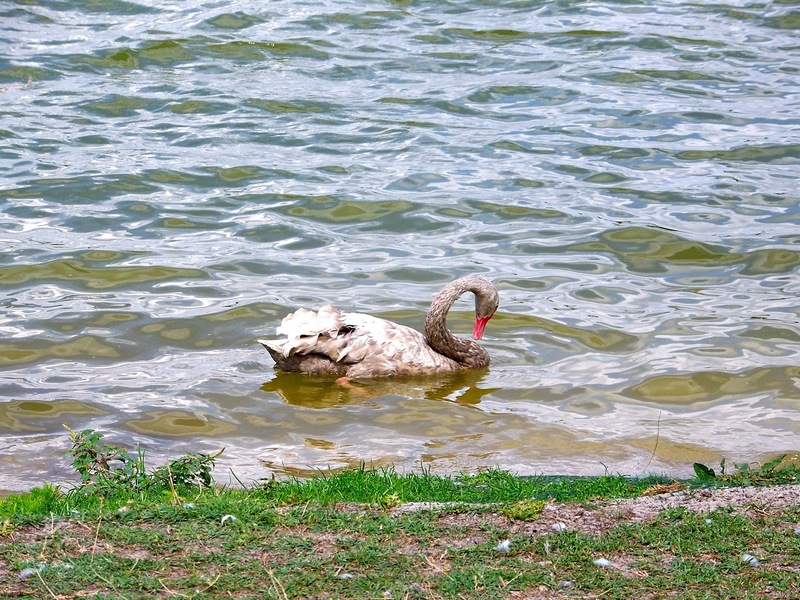 The swans around this lake are fairly friendly, at least as swans go. 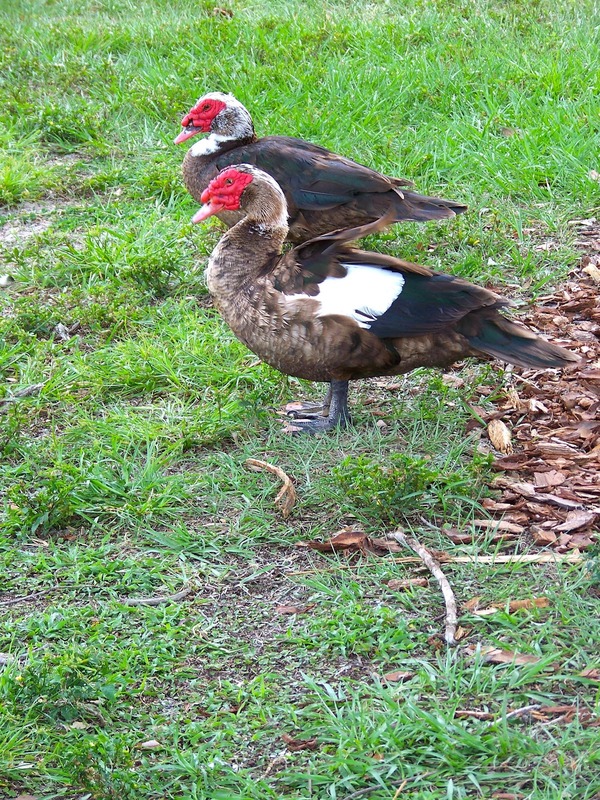 The do get pretty excited if you bring a loaf a bread with you to feed them, but other than that they do a good job of just ignoring all the people gawking at them. The other cool thing about these swans is that there are grey and black swans around the lake. I had never seen a black swan before moving to Lakeland. There are quite a few around the lake and they are gorgeous. 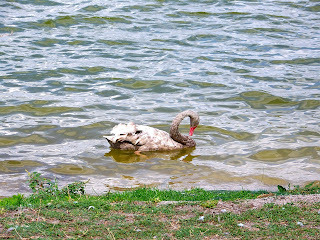 Not that the white swans aren't pretty as well! Swans aren't the only bird that hang out around the lake. I don't really know what these are but I've heard many people refer to them as the ugliest bird they've ever seen. I think they are kinda cute though. 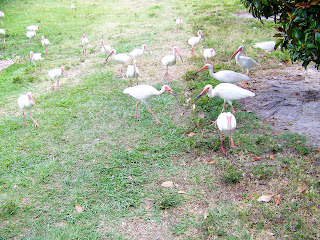 And these birds are EVERYWHERE! They walk around in packs eating bugs with their needle like beaks. 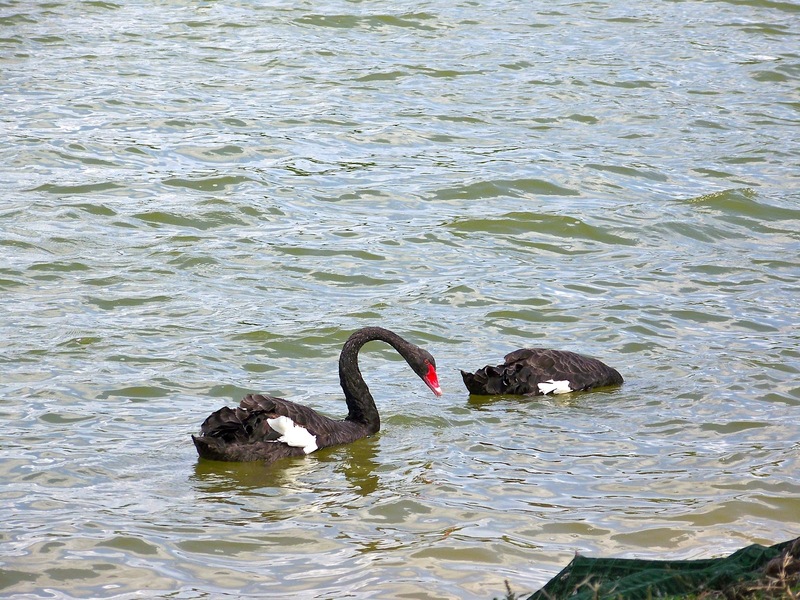 So, if you really like swans or have never seen a black swan before, you should really come visit Lakeland and take a walk around Swan Lake!